Our wool appliqué group, Katy Wool Krazy, meets the 1st Saturday of every month. 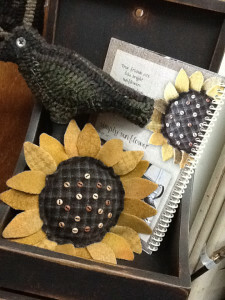 Our project for the April 5th gathering is a Sunflower Pin Cushion. Book & kit required.